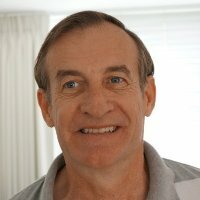 John MOLONEY is retired as the Australian Federal Police Fingerprint Team Leader and is currently the Director of the Forensic Comparison Software Company. John has over 20 years as a Latent Fingerprint Examiner with 10 of those years managing Fingerprint sections at The Northern Territory Police, The Australian Federal Police, and the Australian Immigration Department. In 1999 John was one of eight State and Territory Police Fingerprint Managers appointed to the Australian National AFIS selection panel to determine which vendor would be awarded the contract to supply the next Australian AFIS. In 2004 John was seconded to the CrimTrac Agency to serve as the Assistant Manager of the Australian National AFIS. In 2005 John introduced into the work practises of the Australian Federal Police a software tool that was to radically change the work practices of Fingerprint Technicians. This software tool was then taken up by every other Police Agency in Australia and dozens of agencies overseas.